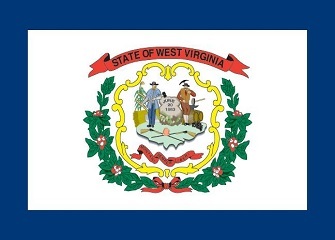 West Virginia is another East coast state that is hit or miss for poker players. Online and home poker games are (more than likely to be) illegal, however, the likelihood of being caught is slim. However, it is possible to play poker and gamble in your local casinos. Where, you ask? We've covered that, as well as broken down West Virginia's gambling laws, for you below. Based on our research and interpretation of West Virginia's gambling statutes, we'd say no. Like most states they don't have a broad definition of gambling. However, they do mention gambling devices, as well as betting on games of chance, is illegal. §61-10-4. Playing or betting at gaming tables and devices; playing or betting on games at hotels and public places; penalty . §61-10-5. Betting on games of chance; furnishing money or thing of value therefor; penalty. The penalties aren't severe when compared to other states. You might be asked to pay between $5 and $300 and/or to spend 30 days in your county jail. So it may be worth it to you to play online anyway (especially if you make money playing online). There are no laws that mention social gambling. So you would have to assume that the laws mentioned in the previous section, as well as the following statutes, would apply. §61-10-1. Keeping or exhibiting gaming table, machine, or device; penalty; seizure of table, machine or device; forfeiture of money used in such gaming. Any person who shall keep or exhibit a gaming table, commonly called A.B.C. or E.O. table, or faro bank, or keno table, or any slot machine, multiple coin console machine, multiple coin console slot machine or device in the nature of a slot machine, or any other gaming table or device of like kind, under any denomination, or which has no name, whether the game, table, bank, machine or device be played with cards, dice or otherwise, or shall be a partner, or concerned in interest, in keeping or exhibiting such table, bank, machine or gaming device of any character, shall be guilty of a misdemeanor...[...]..
§61-10-2. Permitting gaming table or device on premises; penalty. If any person knowingly permit a gaming table, bank or device, such as is mentioned in the preceding section, to be kept or exhibited on any premises in his occupation, he shall be guilty of a misdemeanor, and, upon conviction, shall be confined in jail not more than one year, and be fined not less than one hundred nor more than one thousand dollars. These statutes prohibit you from using poker tables, chips, cards, etc. Based on our research, however, the chances of you being caught, arrested and charged are slim. There has been less than 10 gambling-related arrests since 2009. So, theoretically, you could probably get away with running the occasional home game. Just know that, if caught, you face up to a year in jail and up to $1,000 in fines. That doesn't also include the charges/penalties you may or may not face for gambling illegally. Do Casinos in West Virginia Offer Poker? Yes, there are a handful of commercial casinos and racinos in West Virginia. We receive a number of emails about the legality of gambling in the state of West Virginia. We thought it would be helpful to post those questions and our answers here for everyone to read. Will online poker be regulated in West Virginia? West Virginia would be a good candidate for intrastate poker and gambling. Especially if they could create partnerships with neighboring states like Delaware and New Jersey. However, we've not seen nor heard anything about West Virginia putting forth the effort to regulate online gaming one way or the other. May 9 – WV casino revenue down from competition in Ohio, PA, MD. Online Poker can help solve? Is there an online poker room that accepts players from West Virginia? Yes. In despite of the state's laws, there are several US accepting sites that still accept new sign-ups West Virginia. Residents can join Bovada, Sportsbetting.ag and Sportsbetting Poker, just to name a few. What other forms of regulated gambling is offered in West Virginia? West Virginia runs a state and video lottery, as well as wagering on pari-mutuel races. Where can I read more about West Virginia poker laws? Here are some interesting facts about gambling and West Virginia. West Virginia casinos could not legally offer table games prior to 2008. West Virginia's gambling revenues peaked in 2007. The total? Just shy of 1 BILLION dollars. It's illegal to act as a guard, lookout or doorkeeper for gaming tables or devices. §61-10-3. Unlawful to act as doorkeeper, guard or watch for keeper of gaming table or device; penalty. If any person shall act as doorkeeper, guard or watch, or employ another person to act as such, for a keeper or exhibitor of any such gaming table, bank or device, or shall resist, or by any means or device, prevent, hinder or delay the lawful arrest of such keeper or exhibitor ...[...]... shall be confined in jail not more than one year and be fined not exceeding one thousand dollars. It can be very expensive to be caught cheating in West Virginia. §61-10-9. Cheating at gaming; penalty. If any person playing at any game, or making a wager, or having a share in any stake or wager, or betting on the hands or sides of others playing at any game or making a wager, shall cheat, or by fraudulent means win or acquire for himself, or another, money or other valuable thing, he shall be guilty of a misdemeanor, and, upon conviction, shall be confined in jail not more than one year and fined not less than five times the value of the money or thing won or acquired.